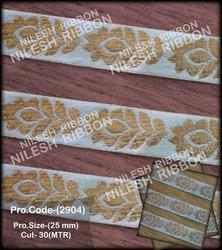 Prominent & Leading Manufacturer from Surat, we offer dyeable border laces and zalar saree border. Owing to the immense experience in this domain, we are providing an excellent range of Dyable Border Laces. This border lace is highly appreciated for their alluring and specific designs. The offered border lace is provided in diverse sizes, designs & customized options according to the demands of customers. 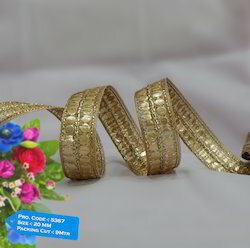 Our valuable customers can avail this border lace from us at affordable rates. We are the leading and prominent Manufacturer, Wholesaler, Trader, Exporter Distributor and Supplier of Zalar Saree Border.